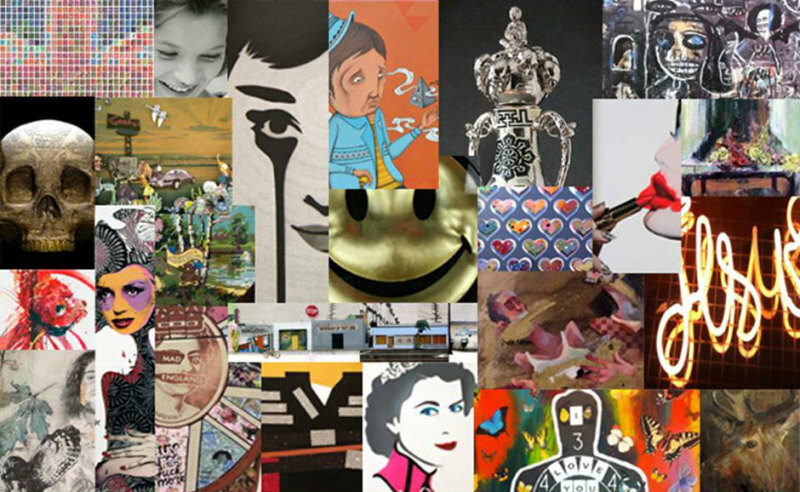 Lawrence Alkin Gallery, Soho is proud to announce its exciting end of the year show: the GROUP 13/14: Winter Collection. Introducing six new artists to their varied roster, the GROUP showcases new works from the likes of self-titled ‘craftivist’ Carrie Reichardt, underground duo Miss Bugs and new Young British Artist Dan Baldwin. Running from 12 December 2013 to 1 February 2014 The Group: Winter Collection brings together Lawrence Alkin Gallery’s most talented artists, exhibiting a wide range of mixed media works, from platinum pottery to surgical blades. The show promises to be a dynamic end of year celebration for the new gallery which has hit front pages with its groundbreaking artists in 2013. Showcasing emerging artists, Lawrence Alkin gallery brings together some of the most hotly-tipped names for 2014, allowing viewers to see into the future of contemporary art. The gallery is shut for the holidays from 24 December – January 1.